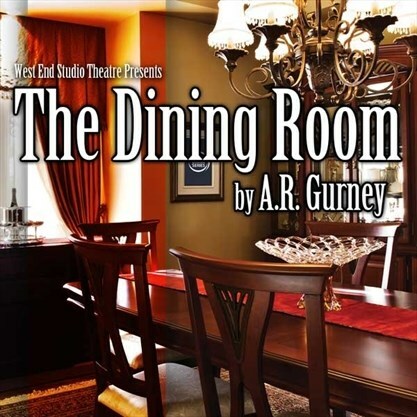 The Oakville Drama Series continues with its third show of the season, the Pulitzer Prize nominated play The Dining Room. The show runs evenings from Wednesday, Jan. 10 to Saturday, Jan. 13 at 8 p.m. at the Oakville Centre for the Performing Arts, with a matinee performance on Sunday, Jan. 14 at 2 p.m. The Dining Room lets audiences eavesdrop on the comings and goings in one room over the span of 50 years. The room where birthday parties, celebrations, dinners and holidays occur is the perfect setting for such discovery. Theatregoers can watch six actors play 57 roles in 18 scenes. Set in the dining room of a typical well-to-do household, this Pulitzer Prize nominated play written by A.R. Gurney is humorous, meaningful, witty and touching. The Dining Room will inspire audiences to think about families; they will recognize themselves in many of the characters and see their own relationships with family members mirrored in the play. Tickets for evening performances are $30 and the Sunday matinee is $25. For tickets, contact the Oakville Centre box office at 905-815-2021 or 1-888-489-7784, or visit www.oakvilledrama.ca.